Keepass allows you to login to websites quickly and easily by simply getting to the login screen and pressing CTRL-ALT-A. I've written an article about how to do this and also done a video about it. 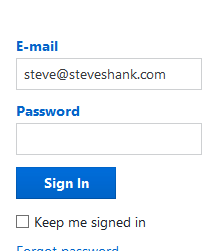 So, I want Auto-Type to fill in the password only. 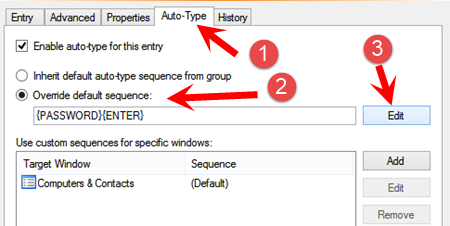 Normally, Auto-Type types the username, then presses TAB, then types the password and presses ENTER. Now I just want it to type the password and press ENTER. So I need to change the normal actions. Select the Use Custom .. tab and Highlight the two items you don't want and delete them. Now save. From this point on, Keepass will type the password then press Enter when presented with the Teamviewer login screen. Next month, I'll show you how to use Auto-Type when the Keepass can't match your login screen to anything!!! - That's cool. As always, I'll be happy to do this for you or work remotely and help you.